Over the past decade, the unlimited wash club has spread like wildfire across the industry. It provides customers with unrestricted access to wash facilities, while simultaneously providing operators with a steady stream of income they can count on month after month. A win/win for both customers and owners. Denver, Cleveland, and Chicago markets. Nearly all Waterway locations sell gasoline as well. Customer service is the key to Waterway’s success. Full-serve customers can watch their cars go through the tunnel. While it seems like every tunnel location has a wash club option today, there was a time when the concept was not only unique it was bold. Henry Dubinsky and a small group of friends founded Waterway Carwash in 1970. Back in its early days, the wash was an ancillary business, offered free with a tank of gasoline. 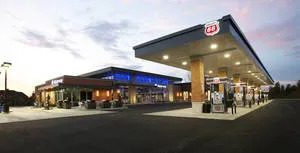 While nearly every Waterway location still doubles as a gas station, the business has evolved and today is a thriving full-service chain with 21 locations across the Midwest. Just a few years after founding Waterway, former lawyer Henry and his associates stumbled upon a concept that was ahead of its time, but helped define the wash over the past 40 years. In the mid-70s Waterway introduced its first unlimited was club, dubbed The Clean Club. Waterway’s unlimited club has evolved over the past four decades, but the core tenet remains – pay one price and wash all you like. For most of the past 40 years, the membership club was an annual purchase. Customers would pay upfront for 12 months of access to Waterway’s full-service tunnels. However, with the growing acceptance of recurring monthly credit card payments, Waterway has introduced that payment option. However, paying in full upfront for the year is still the most popular payment option, with two-thirds of wash club members choosing to do so. Waterway offers three levels of unlimited clean — exterior only for $29 per month, exterior and interior for $39 per month, and a top-of-the-line $59 option that includes significant savings on wash upgrades and gasoline purchases year round. A 20-percent discount is offered to customers willing to pay for a full year membership in advance. Customers that opt for the premier Circle Level wash club, receive $24 off any wash upgrade, a $.10 discount on every gallon of gas, special discounts throughout the year, and free Whole Thing washes on Wednesdays and Thursdays. 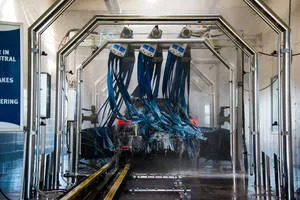 The Whole Thing is Waterway’s top menu package, which includes a full-service wash plus body shine, bottom blaster with undercoat, trim protectant, tire shine, wheel brite, air freshener, mat cleaning, Rain-X, and interior wipe down. The service retails for $35. Customers’ love of Waterway’s Clean Car Club has helped fuel its continued expansion. From its roots as a single-site operation, the wash has scaled to 21 locations, with a few more in various stages of development. The chain prefers to operate in urban centers with locations in the St. Louis, Kansas City, Denver, Cleveland, and Chicago markets. While the wash has been a proud full-serve for almost 50 years, Waterway has begun experimenting with the exterior-only concept, opening its first Waterway Express location in July. Dubinsky and his team of more than 1,600 employees have built a culture of customer service, which he believes will translate well into the exterior-only model. While most operators that enter the exterior-only market focus on finding ways to eliminate labor and run a lean organization, Waterway is leveraging its knowledgeable and customer-focused staff to its advantage. Waterway Express always has three to four people onsite to interact with customers. They greet them, assist them, and inform them about the unlimited wash program and ensure they have a phenomenal experience and come back again and again. The popularity of the express exterior segment cannot be ignored, and Waterway will continue to look for ways to offer the service while staying true to its core full-service values. The customer-centric approach has served Waterway well for more than four decades and it will continue to be the foundation of the business. 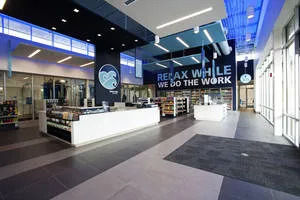 In addition to its unlimited wash club, Waterway offers a number of unique customer-focused initiatives designed to build true engagement between the brand and the various communities it serves. For example, Waterway doesn’t rely on big glitzy advertising campaigns to get the word out about the wash and its 20-plus locations, but rather fosters a relationship with the communities it serves through sponsorship and partnership with local organizations and fellow business owners. Every Waterway customer that rolls onto the lot is covered by a Happiness Guarantee, the wash’s cultural commitment to providing the best service possible. If a customer is not happy, Waterway staff will do all in their power to make sure they are. Staff is empowered to offer rewashes, refunds, additional services, anything that is needed to ensure every customer is satisfied with their service. 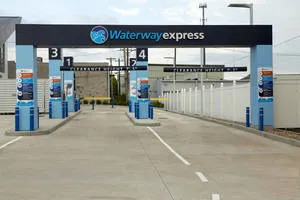 Another unique and fun way Waterway connects with its customers is its new car program. Any customer that purchases a new or pre-owned car is entitled to a 30-day membership in the Clean Car Club free of charge as a way to welcome the new car to the Waterway family. 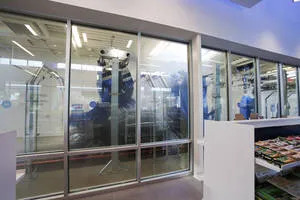 Over the past four decades, Waterway’s customer obsession has positioned it as an innovative leader that continues to evolve not only itself, but the entire car wash industry.